A contingency fee is a standard way to pay attorneys for legal services rendered. No fee is earned or owed unless your case is resolved by you entering into an agreement, or by the court. If there is no recovery to you, nothing is owed in attorney’s fees. Before any attorney is paid you must agree to the resolution of your case by a formal written settlement agreement contained in a release, or if presented to the court, by a decision from the court set forth in a written recorded document called a judgment. This is where the judge tells the person you brought suit against to pay you a specified amount of money. The exact amount is decided by a jury if one is requested or by a judge if a jury is not requested. Payment to the attorney is usually a percentage ranging from 33 1/3 to 40 percent of the recovery either by way of settlement or judicial decision. In the United States we have the American system of justice. This means in most situations anyone can bring a claim by demand though an attorney or by litigation filed with the court and not be responsible for the legal fees of the person or entity the case is brought against. This is in contrast to the way things are done in England where the loser of any litigation has to pay the legal costs of the winner. Our system allows our courts to be available to all irrespective of their financial status. 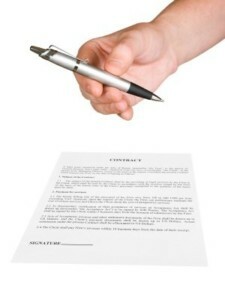 Contingency fee agreements are often used in personal injury cases like dog bite lawsuits. Is Everything Entirely Free for the Client in a Contingency Fee Arrangement? Sometimes there are special charges associated with cases. Almost always there is the need to get medical records and special expert reports on the nature and extent of the injuries. Attorneys usually do not ask for reimbursement of these special charges if the case they are handling is not successful. If there is a recovery, almost always reimbursement is requested. If a person tries to file a lawsuit on their own, he or she will likely be dealing with insurance companies. These people are professionals and are very familiar with Ohio law and use it to their company’s advantage. Their goal is to get the best settlement for their employer, the insurance company, and to avoid going to trial. They do not want the jury to decide the case because they will usually end up paying more. If you have been seriously injured by a dog, securing competent legal representation will help you take on the insurance company and get fair compensation for your injuries. Contingency arrangements provide a way for you to have that help without paying upfront fees. You pay when your attorney wins a verdict or settlement and if he does not, you do not have to pay. They show the different factors the attorney should consider in setting his fee. Time limitations imposed by client and circumstances. This would include whether a client may have limited time to file a case because a statute of limitations is pending or if the case needs to be resolved quickly for some other reason. Where are Contingency Fees Typically Used? Contingency fees are used in civil cases where the plaintiff is seeking money for injury or other damages. The cases are generally personal injury or medical malpractice cases. If there are legal limits on how much the client can recover, a lawyer may not offer a contingency arrangement. Contingency fees are not permitted in criminal cases in Ohio and in domestic relations matters. If the fee is dependent upon the attorney securing a divorce, it could be against public policy. Additionally, contingency fees are not used in matters of alimony, child support, or property settlement in a divorce case. Some may think it unfair that the attorney receives part of the settlement in a contingency case and may wonder if this gives the attorney an advantage in making a claim for payment. Contingency fees are highly regulated in the state of Ohio and the “reasonableness” rules, discussed earlier in this article, state that the lawyer must charge a reasonable fee. He must also let the client know the contingent fee before any work begins and must present that information in writing to the client. There shouldn’t be any surprises with a contingency fee arrangement. Contingent lawyers make up the most powerful force we have to right the wrongs committed against us. Without them, most grievous wrongs committed by business and individuals would go on without correction. It is the contingent attorneys who help prevent racial and sexual discrimination, faulty and unsafe items being placed into the stream of commerce, professionals practicing in negligent ways, and dogs attacking innocent children. Contingency is the equalizer. Every important decision made in the personal and business world is affected by thoughts of ‘If I do this, will I be sued by one of those contingent lawyers?’ If this uncertainty did not exist, our society would be less enjoyable and less safe. All this comes about by skilled attorneys willing to take on legal challenges for individuals on a contingent basis. It is not by accident we have the American system of justice as opposed to the English system where the loser has to pay. Our forefathers planned it this way. They experienced the other way and chose not to follow it. Contingent attorneys allow all of us to have a more level playing field. They make an important difference for everyone. There are many who poke fun at attorneys until they are the victim. Only then do they realize what a vital role contingent lawyers play in our society and how fortunate we all are for their help and the hope they give to those who have been victimized by the improper conduct of some person or some business. How many cases of this type have you handled? Did these cases settle or did you go to trial? Do you see any weaknesses? Is there anything I can do or information I can provide to help overcome any weaknesses in my case? Ask him what his clients have to say about him. 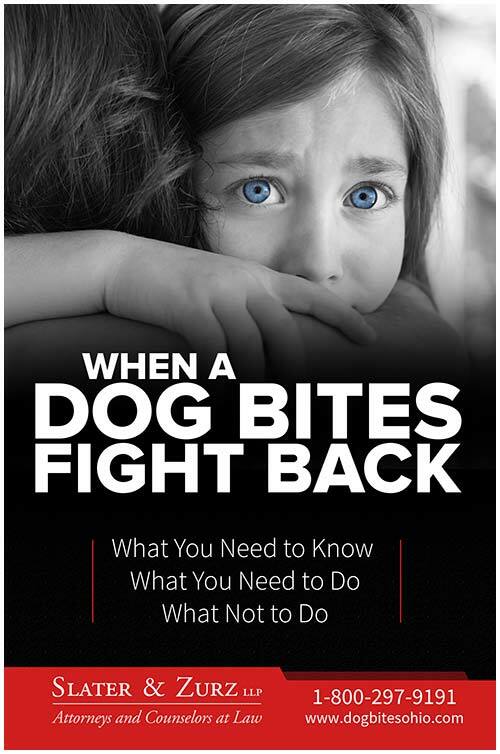 Our law firm that offers contingency fees if we represent you in a personal injury case, such as a dog bite case. Our main office is located in downtown Akron, but our attorneys have represented clients in 55 counties and 157 cities and towns throughout Ohio. We have been in business for more than 40 years and more than 30,000 personal injury clients have entrusted us to handle their cases. Verdicts and settlements have been in excess of $150 million. Our lawyers work tirelessly to assure our clients get the compensation they are entitled to when others have acted negligently or recklessly and caused serious injury. Please give us a call at 1-888-998-9101 or send us a website message.